Mark and Julie have made my day; you guys are awesome people. Thank you very much! Dean Bosnell has been an awesome person helping me out as much as he has. 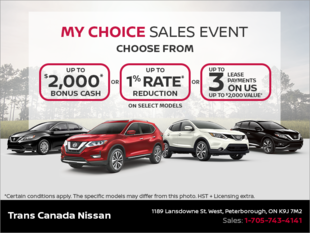 Everyone in the Peterborough Nissan has been so great to me. Never would I say something bad about the guys there, they will help anybody out.